The list of adversaries that Oliver and team Arrow will face this upcoming season just got a little larger, as Entertainment Weekly has just reported that “Spartacus” actor Nick Tarabay has landed the role of a well known DC villain who will not only appear on “Arrow,” but will be in “The Flash” crossover episodes as well. Here are the details about Nick Tarabay’s character from Entertainment Weekly, but I’m putting the spoiler warning out there for those who want to remain surprised until they see the actual episode that he makes his appearance on. Nick Tarabay (Star Trek Into Darkness) has landed a multi-episode role as Digger Harkness (aka Captain Boomerang), EW can exclusively report. 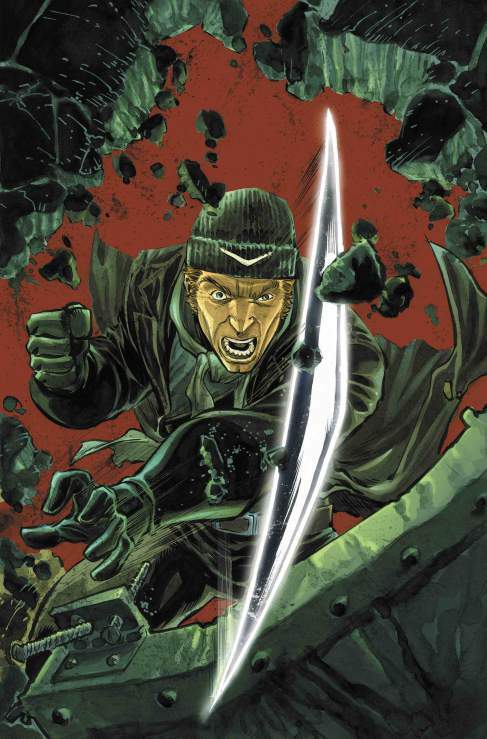 In the DC Comics, Boomerang/Harkness is a recurring foe of the Flash whose signature weapons are specialized boomerangs that he wields with incredible skill. On the page, he has also been associated with the Suicide Squad. On Arrow, Harkness will be a former A.R.G.U.S operative, highly skilled in martial arts and espionage, with a deadly thirst for vengeance against his former employers. The character will be introduced in the seventh episode of the upcoming third season, and then continue in the eighth episode — which is when spin-off star The Flash crosses over into Starling City. While I’m a little surprised that one of Flash’s big villains is making his debut on “Arrow,” it’s definitely great that he’s being introduced into this universe, and should be great to see him go up against both heroes in the episode eight crossover event!